It’s the time of year many of us in Las Vegas look forward to; the summer heat backs off and there’s a crisper note in the air. As Fall approaches, you can spend more time outside enjoying an extended summer. In MacDonald Highlands luxury homes, the neighborhood offers plenty of opportunities to enjoy Fall. Take a bike ride with the kids through the neighborhood and see if anyone has begun to decorate for Halloween. Consider starting a garden as a hobby. Gardening has been proven to be a great stress relief, and there’s a rewarding sense of pride in eating veggies that you’ve grown yourself from scratch. Learn how to start a fall garden here and here. 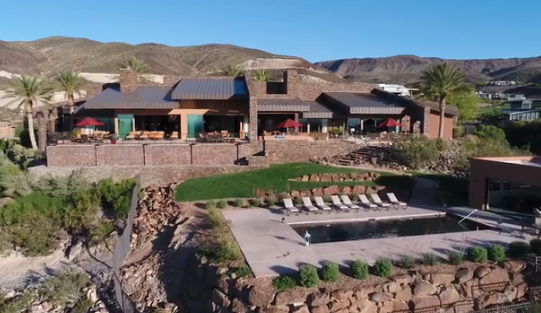 Unwind at the private DragonRidge Country Club where you can take a dip in the pool or enjoy a game of golf. See the seasons change in subtle ways with the sweeping views of the valley and city right from your backyard veranda. Although the leaves don’t change colors in Las Vegas, you can enjoy the warm colors of fall in the brilliant red, yellow and orange sunsets. Take a drive to Red Rock Canyon National Conservation Area. It’s less than 30 minutes away and offers hiking and biking trails and picnic areas. Lake Mead National Recreation Area is also family friendly with fishing, swimming, boating, water skiing, and camping. MacDonald Highlands is located at the foothills of Black Mountain in Henderson, Nevada. In a luxury home at MacDonald Highlands you can enjoy the seclusion of a private, gated neighborhood but quick access to the city just beyond the gates. MacDonald Highlands luxury homes range in price from $800,000 to $10,000,000. If you are interested in joining the most prestigious luxury community, contact Kristen Routh-Silberman at 702-467-7100.